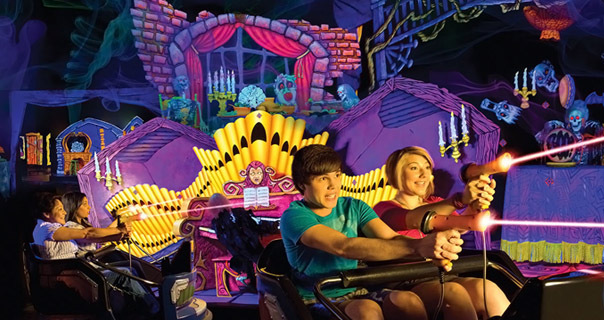 Ghost Blasters is an interactive “black-light” adventure with many different animatronic characters, animated props, and set pieces, giving it a whimsical spookiness unlike anything you’ve experienced before. Ghost Blasters islocated inside the Great Canadian Midway you`ll find a fun and exciting experience with a terrific haunted house theme called Ghost Blasters Dark ride. Your adventure begins by entering the Bleakstone Manor where you'll be confronted by an army of ghosts, skeletons, ghouls and goblins riding from room to room in velvety black-light darkness. Phone: 905-358-3676 for ticket prices and other details.